Kittens going abroad will have rabiesvaccination, transfer & passport. I only sell fertile cats to verified breeders, otherwise the kitten will be neutered and 16 weeks old before departure. The kitten will bring a kitten package with food, toys, advice & tips to their new owners. My goal is to breed healthy, social and harmonious cats. My cats belong to my family and should be seen as a small familymember by their new owner. My cats are sold only as indoor cats. Any stay outdoors must be controlled ex. in an exercise yard. Balconies should be provided with nets. KBL may not be bred with any other breeds and SHALL be neutered. 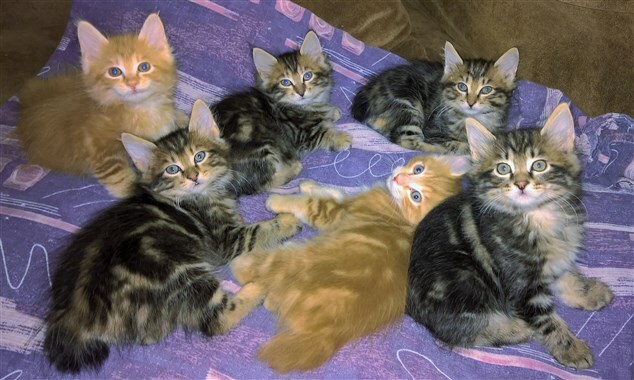 Fertile kittens will be considered only to registrated breeders. Even if a kitten is looking very promising for the future, I can not guarantee any show success, as this depends on how the cat developes, both physically and mentally during life.